Welcome to the Divine Storm forum! Discuss anything Divine Storm related here! Share tips, tricks, experiences and more! Divine Storm is a 3D, browser, MMORPG game based on western mythology. The game offers diversified gameplay featuring three classes, various character systems, skill rotation, mounts, wings, auto-play, and much more! Travel through dungeons, fighting powerful bosses, and leveling up. Become a hero and defeat evil forces in this fantasy adventure game. The game is set on these flying cities with western architecture. As you travel to different areas youâ€™ll notice your in the sky and can see other floating cities around you. You get to travel to various parts, some in ruins and some not. There are also grassy areas where youâ€™ll meet monsters and large plants. You can travel by mount, such as a horse or a pegasus or just walk. When starting the game you have three classes to choose from and that's Warrior, Mage, and Ranger. The Warrior class is a trained Swordsman, the Mage class is a Master of Arcane arts, and the Range class is a skilled Marksman. The classes arenâ€™t gender locked which is nice. You have to complete various missions, while doing so you get to meet various characters. The game also offers a variety of PvP arenas. While completing quests you get rewards such as gold and XP. As you level up youâ€™ll get access to new abilities, gear and more. You can keep upgrading your items too. As you play through the quests and meet new characters the story unfolds itself. There are also daily login rewards that help your character in their journey. Divine Storm also lets players rotate skills. Strategize which skills will work best against your enemy and use overwhelming combos! As you progress you can upgrade your skills and abilities. You can also upgrade your character from seven possible character systems. These character systems include: War Souls, Wings, Mounts, Pets, Relics, Artifacts, and Costumes. Donâ€™t like playing by yourself? Divine Storm lets players create or join Groups. Groups are useful if you want to level up faster. Working together in groups can make it easier to defeat bosses and enemies which helps out everyone in the long run. This feature also helps you meet new friends and interact with other players. The game also has a feature called, â€œMeditation.â€� You can activate this feature my pressing D on the keyboard. While being in Meditation you can gain EXP, HP, and Mana. This is great if you lost HP and Mana in battle and you need to heal yourself. This isnâ€™t something you can do constantly though. This is something you can do after a certain amount of time. Some other key features of the game is that it has skill based character advancement. This offers a wide variety of options towards character development. You can learn class and basic skills as you fight and complete quests. 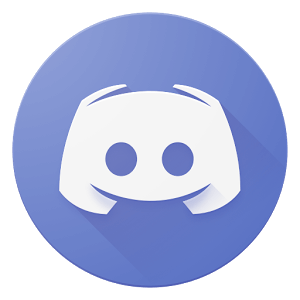 There is also an in-game chat which you can use to talk to other players in-game, ask questions, and discuss various topics about the game. This game was developed and published by Vivagames. Help others in the forum of Divine Storm today gathering ideas, tips, friends and a greater knowledge to expand your experience of an amazing, western mythology filled game.